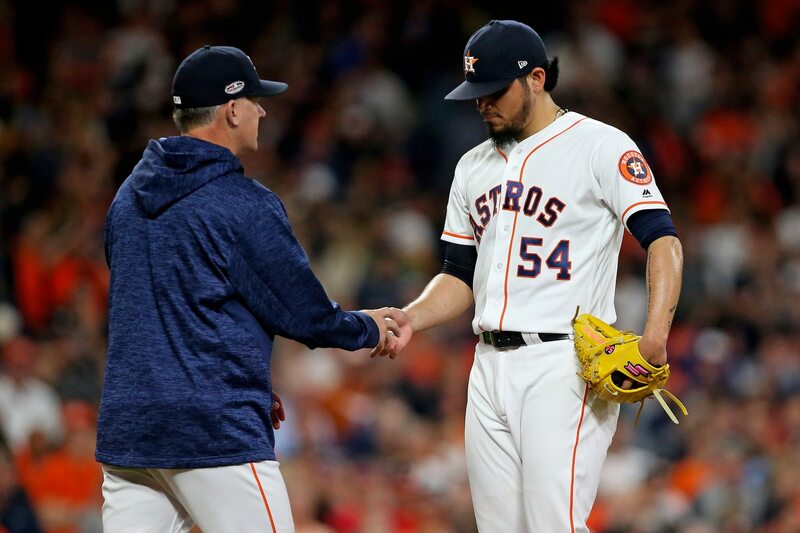 When the Houston Astros acquired closer Roberto Osuna, despite rampant criticism for acquiring a player suspended 75 games for domestic violence, the organization imagined him being a shutdown reliever in the postseason. Osuna took the mound with the Astros trailing by a run to the Boston Red Sox in the eighth inning. Houston’s skipper A.J. Hinch hoped he would allow the Astros to make a comeback in the bottom of the inning. Instead, everything blew up in Houston’s face. The 23-year-old allowed a single in between two outs, then everything changed. The Astros kept their closer in the game then on the third pitch of his at-bat, Red Sox outfielder Jackie Bradley Jr. drilled Osuna’s fastball over the fence in right field for a grand slam. As Bradley Jr. and his teammates circled the bases to celebrate Boston’s 8-2 lead in Houston, Twitter erupted at Osuna’s postseason collapse and the potential karma that took place. Jackie Bradley slamming the door on Houston, 8-2 Sox. What a shame for Osuna. Roberta Osuna hitting two guys and giving up a grand slam? Couldn't have happened to a nicer guy. Maybe there is karma after all. It's such an incomparably minimal "punishment" for Osuna's crimes, but this inning is cathartic.